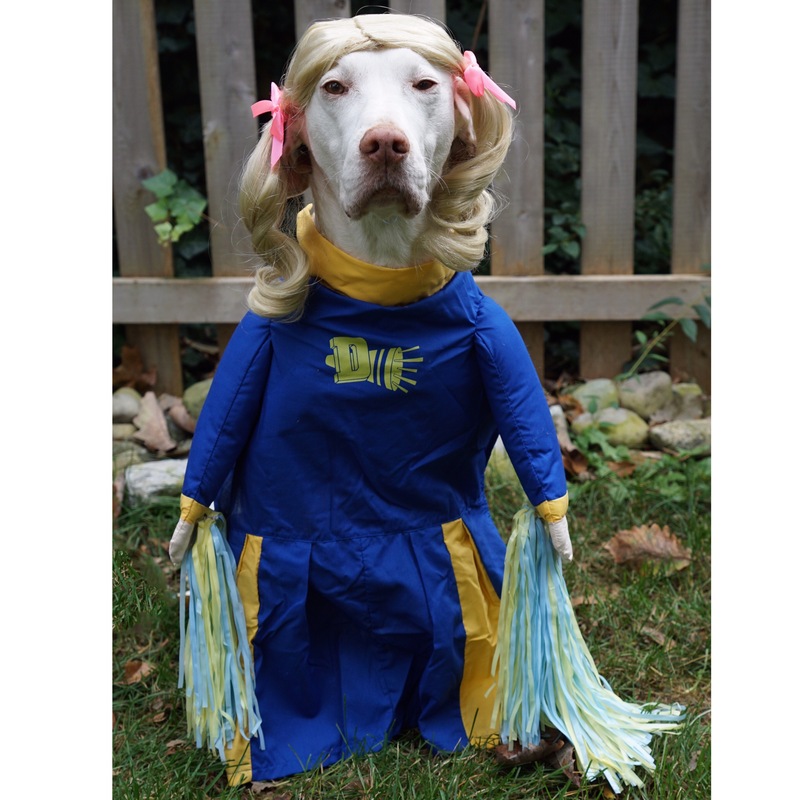 Happy HOWL-oween 2016 from The Liver Killers Team! 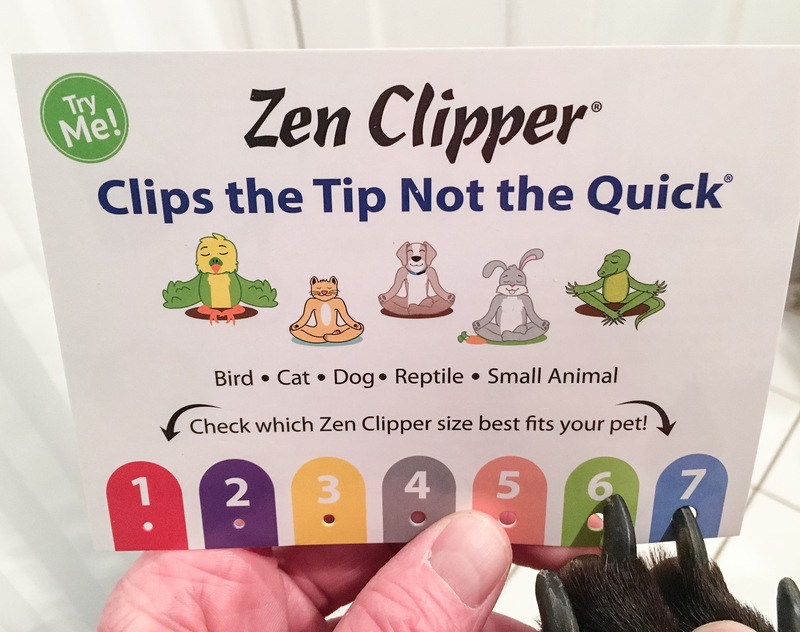 “Zen Clipper” Took the Stress Out of Our Pack’s Nail Clipping! 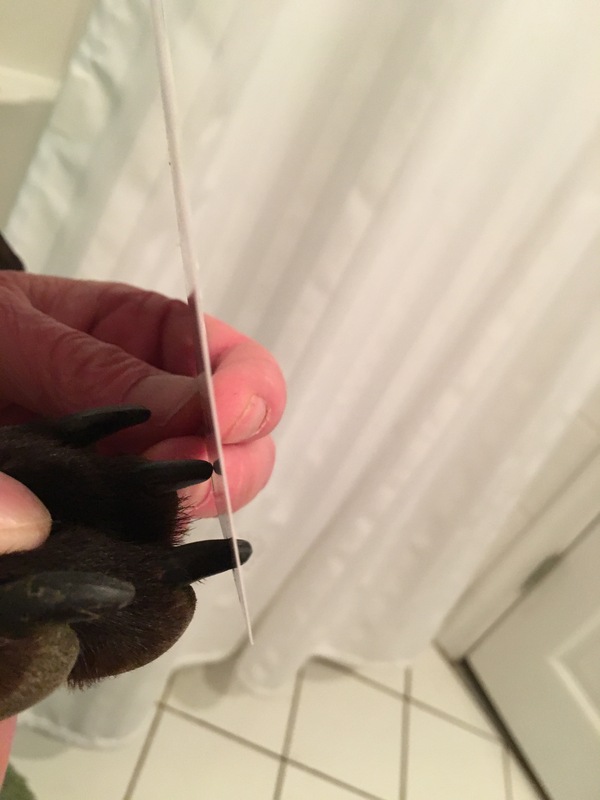 I have to admit, I have always been too nervous to trim our fur-kids’ nails. However, during our once a week “spa night,” I clean ears and teeth, while Brian cuts nails. 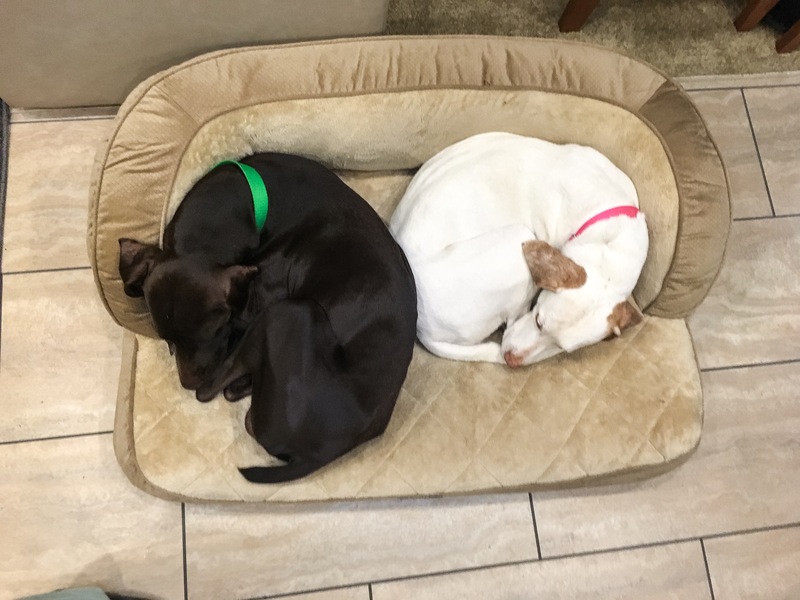 Although Brian is perfectly comfortable doing this, it has always been a chore to “guess” where the quick is in our dogs’ nails since three out of the four dogs have extremely dark nails. Dark nails make it impossible to see the quick, and Brian has on more than one occasion nipped the quick. This is painful for the dog, and has made both of us feel very badly. That is why I was super excited when we were asked to try the Zen Clipper. 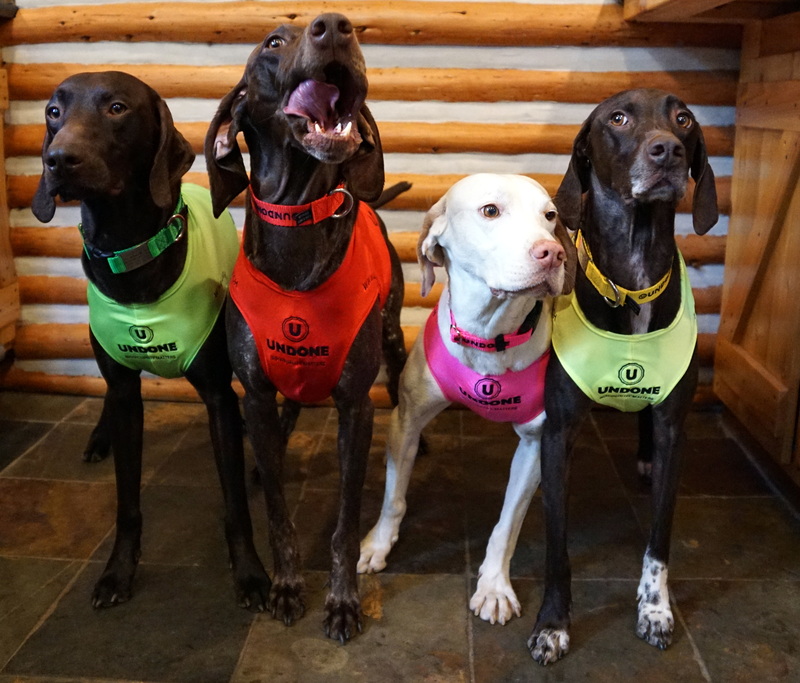 We were sent a sizing chart to help us choose which size clipper would be best for our dogs. After following the easy measurement directions, we decided that Blue Size 7 was the correct size choice for our pack. When our clipper arrived, I was impressed with the packaging, and clear directions. I loved that the clippers were not bulky in size, moved smoothly, and were extremely easy to squeeze. 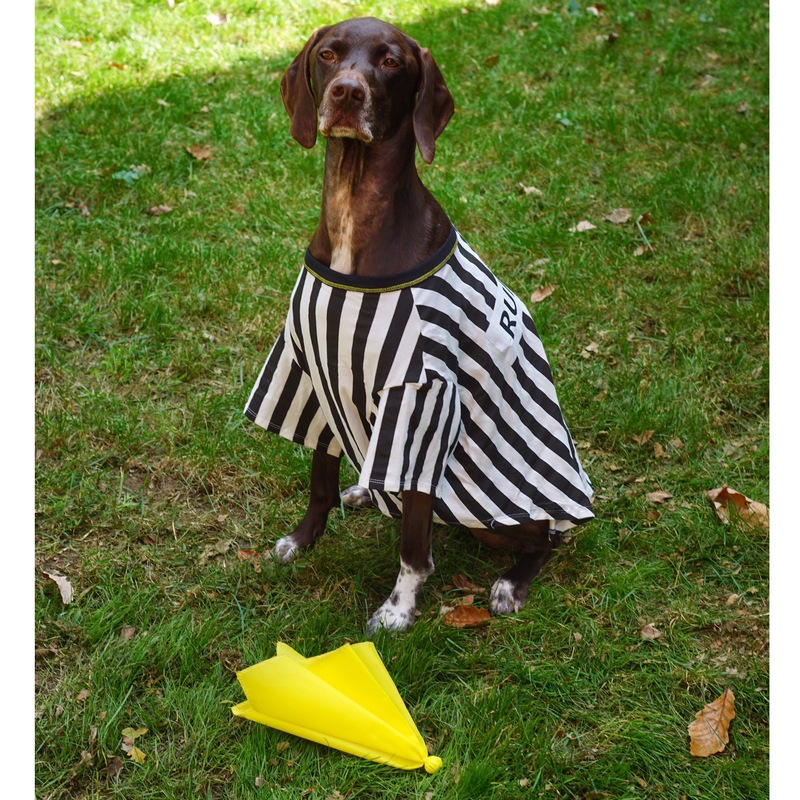 The clippers are stainless steel, and have a conical blade, which is what allows you only to cut the tip of the nail when you are using the correct size for your dog’s nails. The handles are coated in plastic, and were comfortable on my hand. Brian was pleased with how easy the clippers were to use. We followed the direction on the package to insert our dog’s nail into the conical blade of the clipper, and squeezed the clipper to cut the nail. We were very happy with the Zen Clipper. It sure made Nail Clipping Night at our house much less stressful! 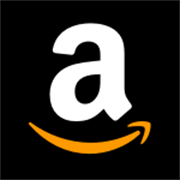 Zen Clipper is designed, manufactured, assembled, and packaged in the United States. 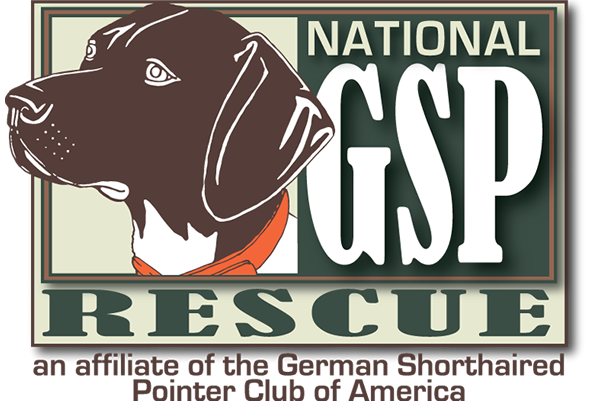 You can download the sizing card and order clippers for your dog, cat, bird, reptile, or other small animal on their website. Also, check out Zen Clipper on Facebook and Twitter , and be sure to tell them Cello’s Corner sent you! 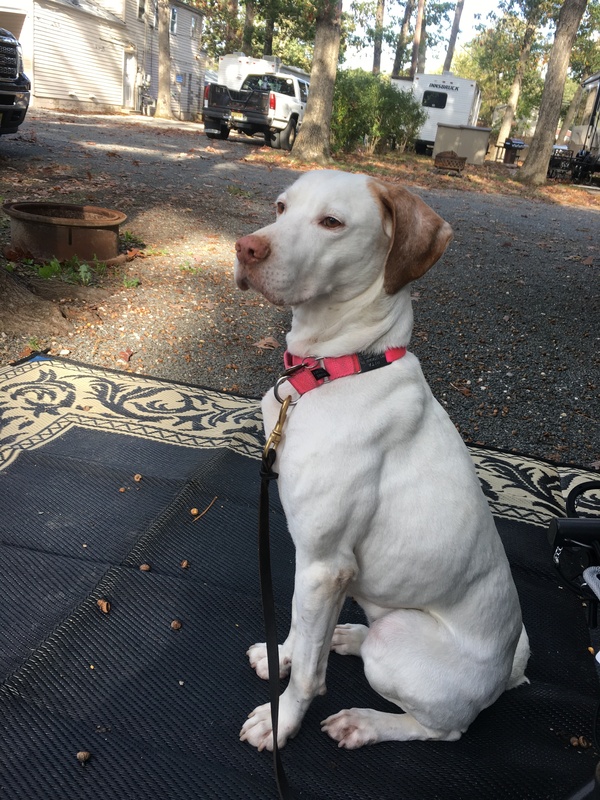 All of our camping trips revolve around the pups’ dock diving competitions, except the holiday camping trips we take on Easter and Thanksgiving. 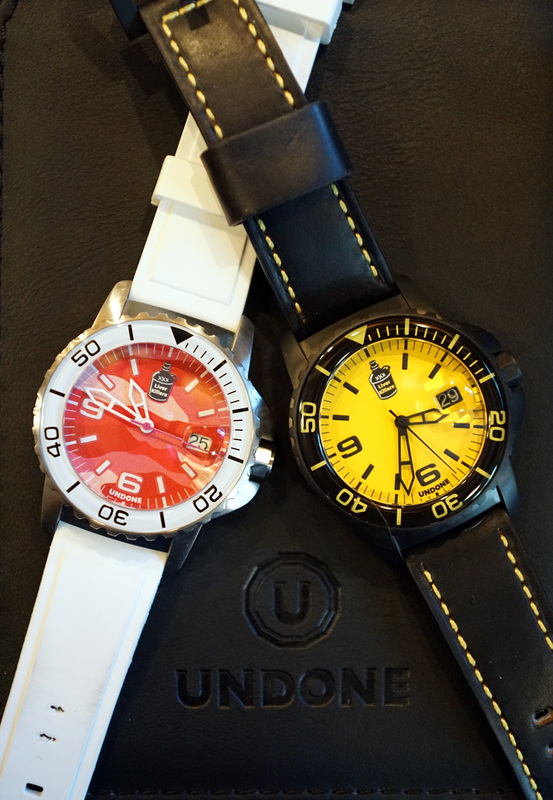 We very rarely catch a free weekend – let alone one that matches up with another camping buddy. 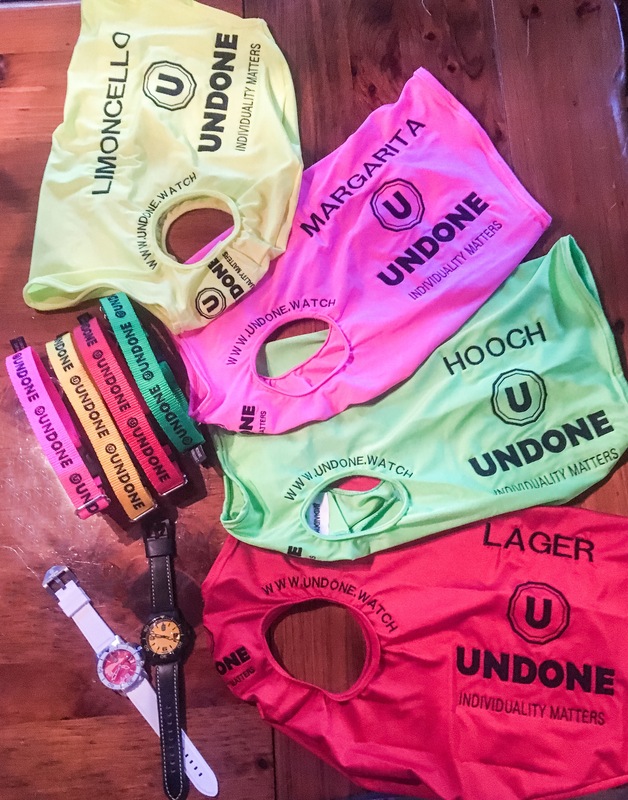 However, this particular weekend in October we were able to make it happen! This was only our second trip in the new RV. I decided to ride on the couch with the pups for a little bit to help get them settled. All settled in and ready to roll! 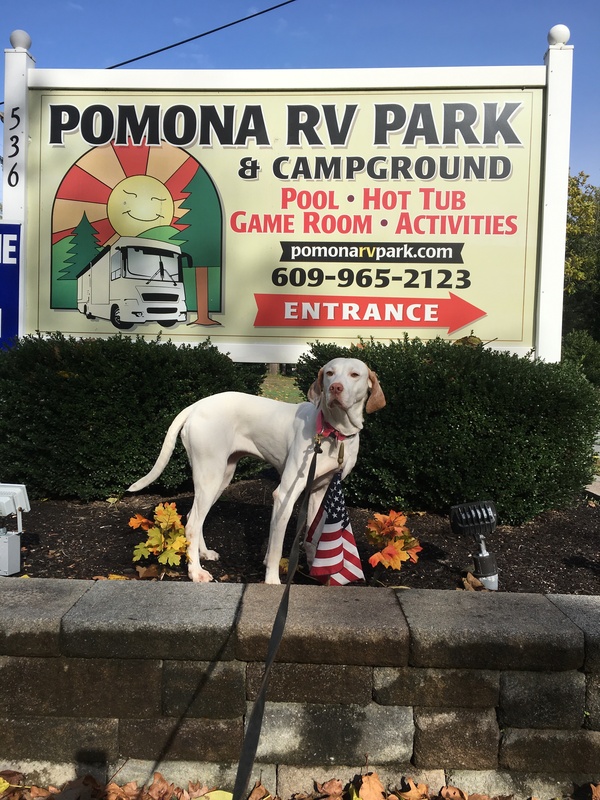 It was a very chilly weekend, but we enjoyed every minute at Pomona RV Park and Campground! 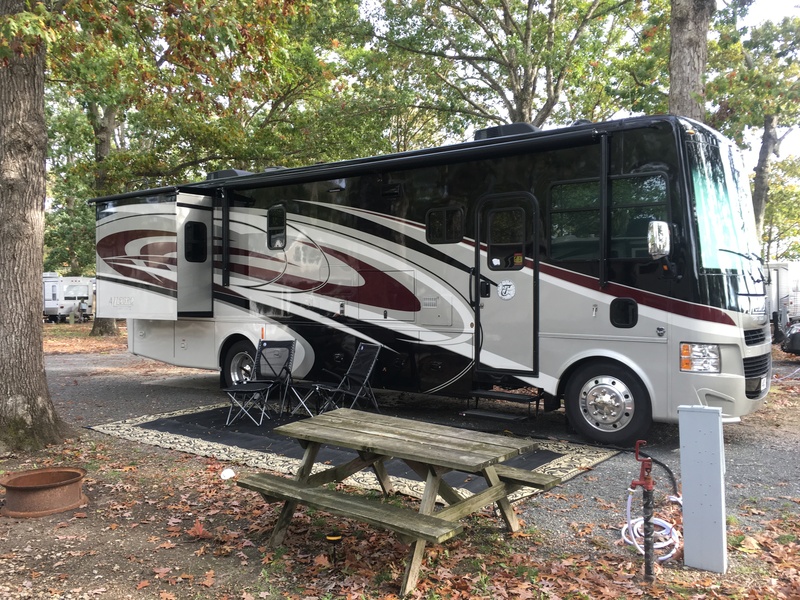 You would never know this campground was just 10 minutes away from Atlantic City Casinos, boardwalk, and beaches, as it was very quiet and peaceful! Lager just loves his new GLAMping window! We spent quite a bit of time indoors getting a break from the cold, and enjoying getting to know our new camper. 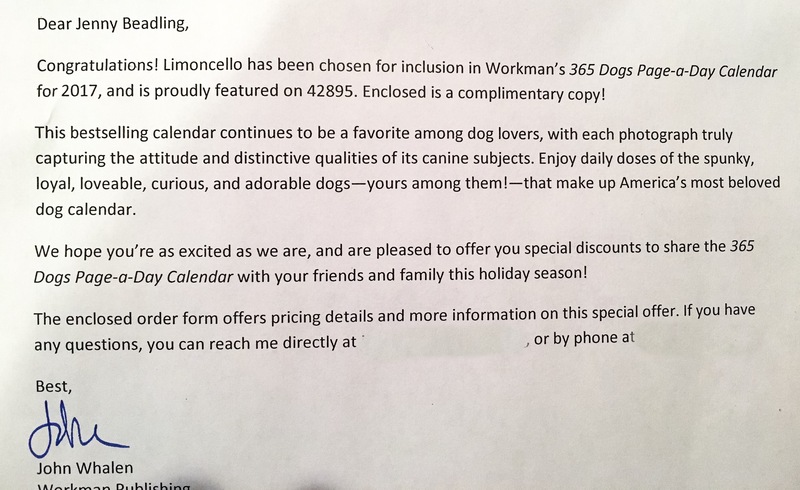 We could relax for sure knowing Lager and Limoncello were on patrol! 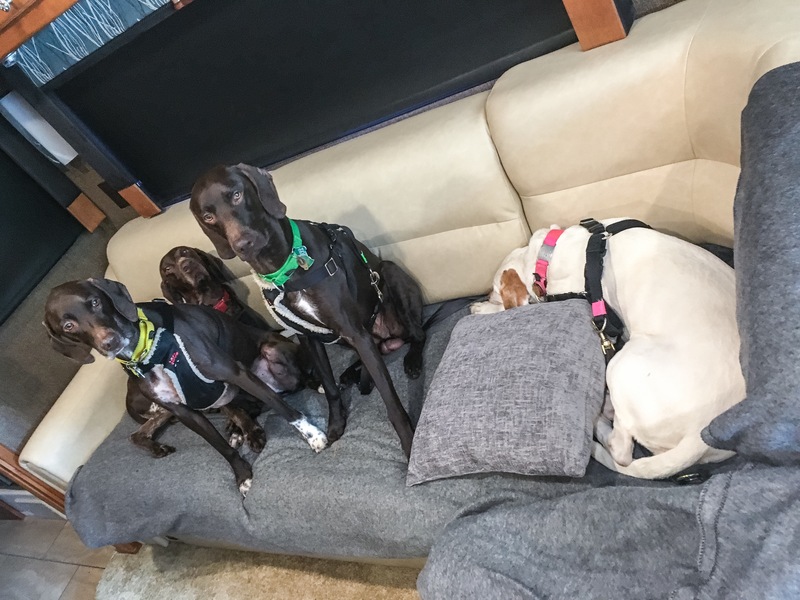 Hooch and Rita decided to let Cello and Lager do all the patrolling while they soaked up the GLAMping life! We did get some warmer temps where we were able to sit outside and enjoy the fresh air – Rita seems to be more of a cold-weather kind of gal, as she enjoyed every minute sitting outside! It was a wonderful weekend (not too far) away! 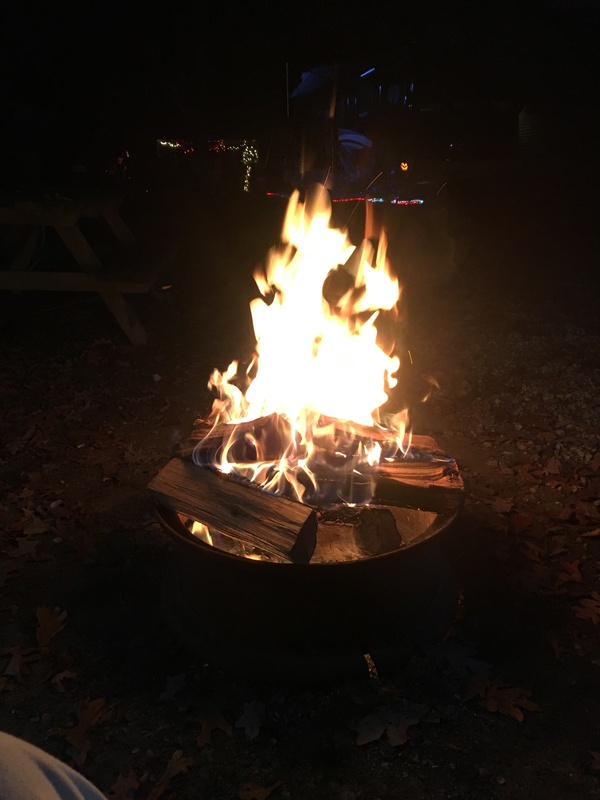 We appreciated time with friends, we were delighted to spend some time figuring out all the buttons and controls on the new RV, and enjoyed the campfires each night! 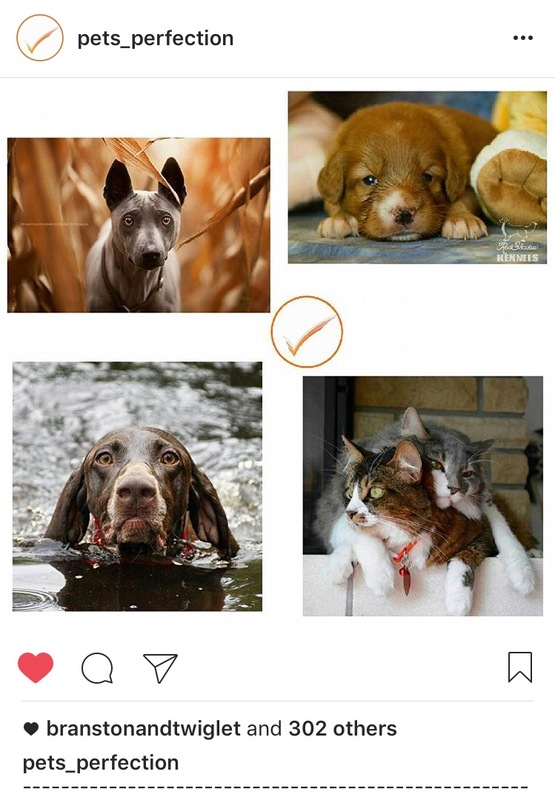 Lager’s Picture Gets Our Instagram Account Featured on pets_perfection ! 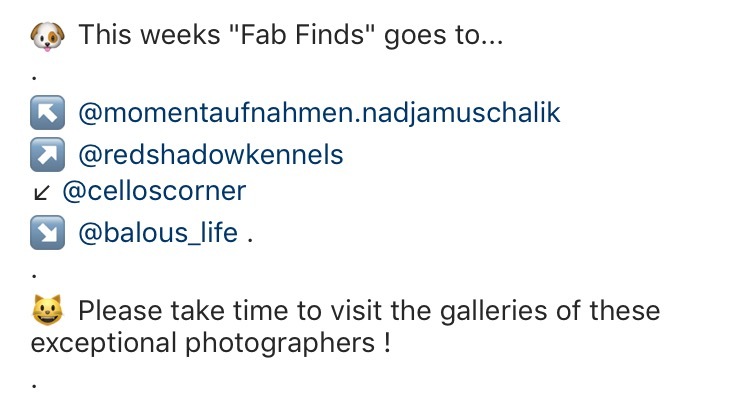 Lager’s photo got Cello’s Corner’s Instagram a feature on pets_perfection ‘s Instagram account! Those of you who have been following our adventures from the start, know that we started out tent camping, moved on to a travel trailer, and then a 5th Wheel. 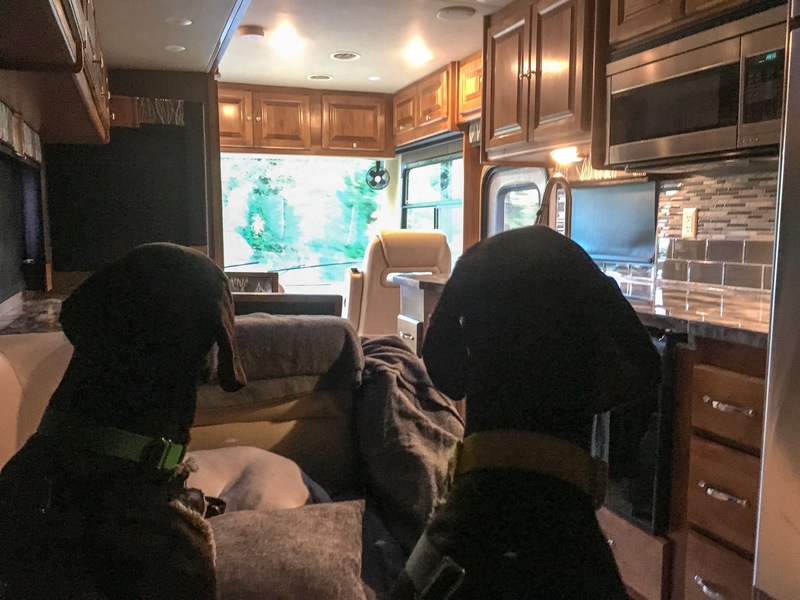 Even though we enjoyed all of our camping methods, once we adopted Margarita, we discovered that we needed to travel in a way where all of us could be a little bit more comfortable while on the road. 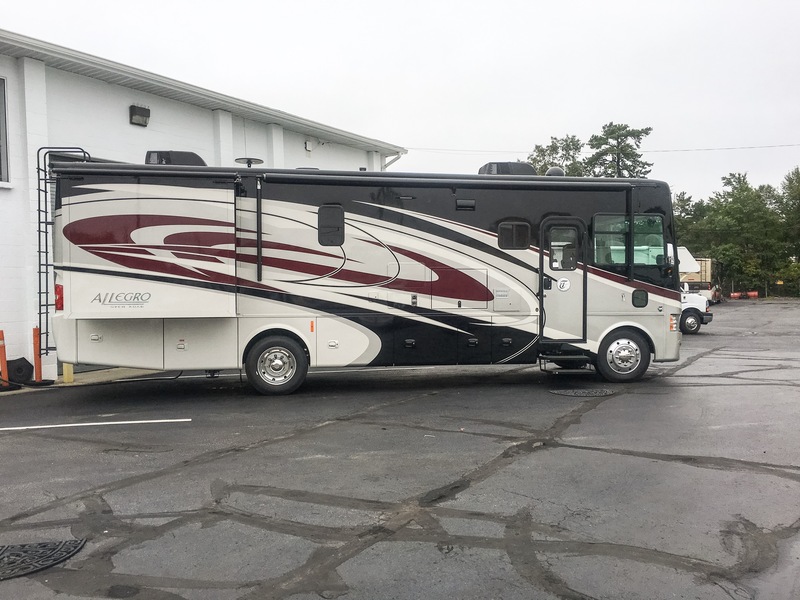 We decided to trade our 5th Wheel in for a Class-A RV! 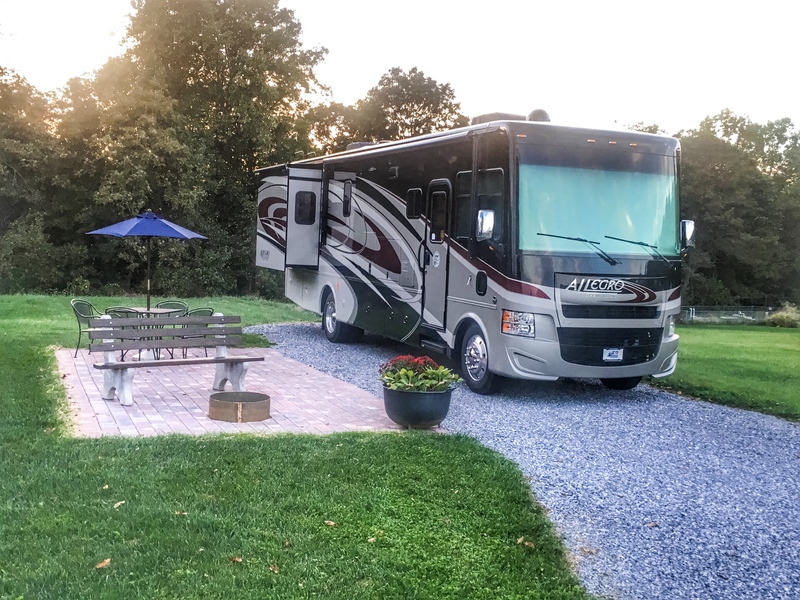 Our first trip in the new camper was to Lancaster / New Holland KOA ! Our campsite (Site X-16) … we LOVED our site! 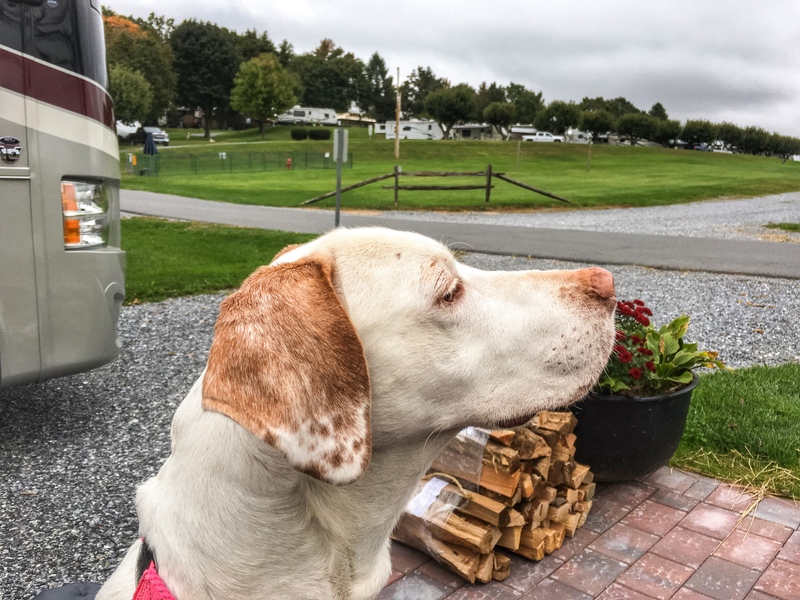 We enjoyed this campground very much – one of the days was very rainy, which gave us some time to get acclimated to our new RV! Rita got settled right in! She said she can drive a Big Rig – no problem! 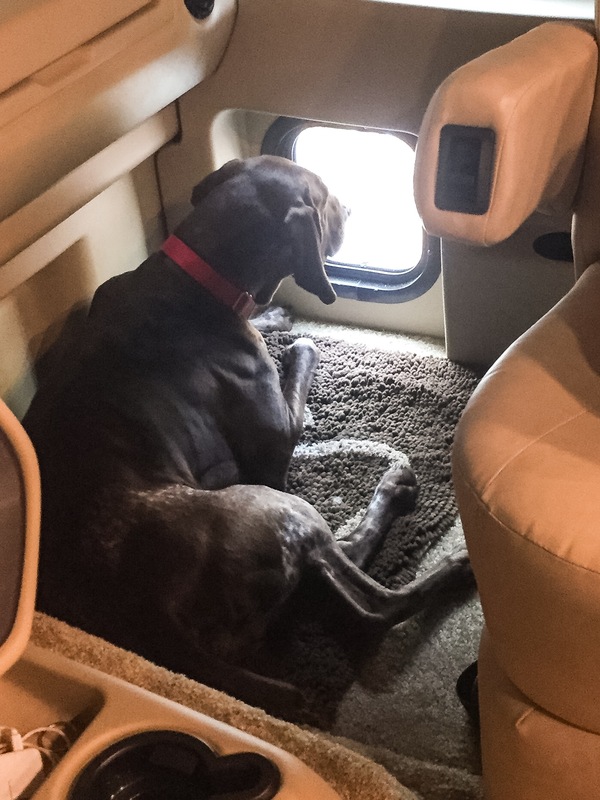 We had to put runners down in the new RV since Hooch thinks slippery floors are made of lava! Relaxing on a rainy day with my Reet! 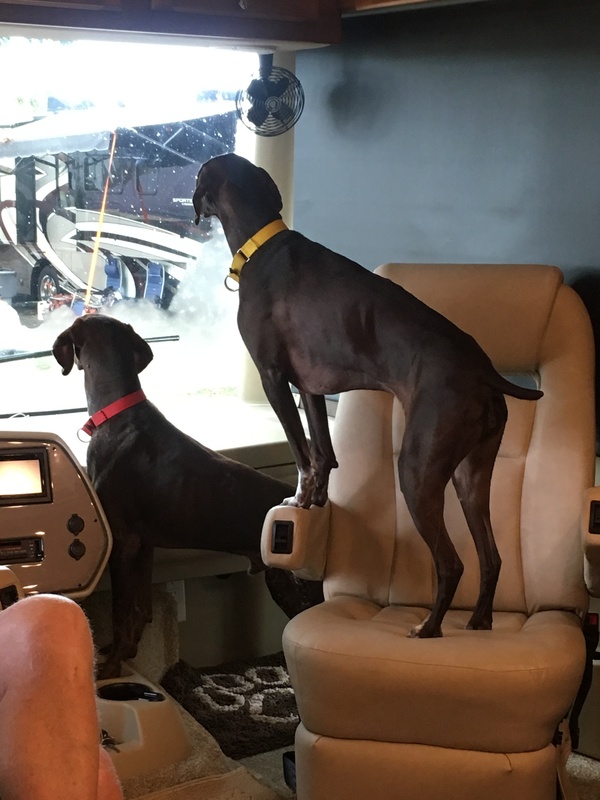 Our new RV was safely guarded! Once the weather broke, we were able to enjoy the outdoors at our great site! Friends of ours live nearby the campground, and were nice enough to come by with some Lancaster favorites that we have never had before! Chicken Pot Pie like we’ve never had it (We’ve only had it in “pie” form!) Delicious! 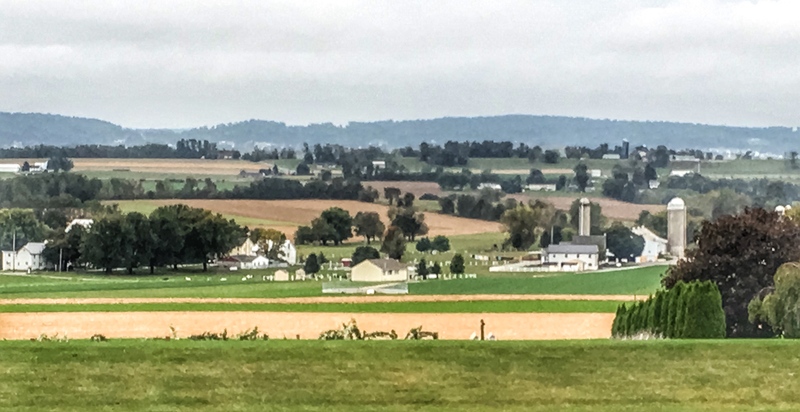 Hand-made pretzels – not sure I could ever had another kind of pretzel after these… YUM! Whoopie Pies! …These were amazing! Farmers Cheese – my new favorite cheese! We had a fun (and most importantly – SAFE) first trip in our new camper – during one of the very, VERY few camping trips where dock diving was not involved!